Join us on Sunday October 29th, 2017 for our 9th Zombie Walk Against Hunger. This is a fundraiser and food drive to benefit Gleaners Food Bank of Southeastern Michigan. Gather your monetary donations and donations of non-perishable food items, get yourself zombified and get your friends to do the same! Gathering begins at 4pm, walk starts by 5pm. Bring TEN OR MORE canned or non perishable food items (or better & easier to carry, $at least $10) to be entered into the prize drawing at the end of the walk, but PLEASE take it a step further- collect donations from others to sponsor your walk. Zealous zombies that bring in at least $100 in collected donations will be entered in to an additional drawing for an even BIGGER prize. The zombie who brings in the absolute BIGGEST donation gets the top prize! All ages (and well socialized dogs on leash) are welcome. Zombie attire is mandatory! Attention, most zealous of zombies & warped wanderers! Here are some more details (& a few clarifications). 4PM. We are glad that you're excited, and we are, too, but please try not to be there much before 4PM- we've got setting up to do and the walk won't start 'til QUITE a bit past then. Registration opens at 4PM and goes until at least 4:45. We'll have a little something going on to occupy your time. IN FRONT of the train station/central depot at Roosevelt Park, corner of Michigan Ave and Vernor. We'll have a designated bleeding area before the walk for anyone who wants to go all out. During the walk, we'll be on public sidewalks. What's the walk route, you ask? The walk route is ....... never given out before the actual walk. Sorry kiddies. On street. Please try to park on Michigan Avenue and surrounding streets rather than in the lots of local businesses. 1) Stay out of the street (until you're directed to cross at the designated spot by a zombie crossing guard). 2) Walk like a zombie. 3) Keep bloody hands off of businesses that we pass. Have fun! NONE. Rain or shine, the walk will go on! (besides fun!) This is a fund raiser and food drive for Gleaners Community Food Bank. Hopefully everyone will hit up friends & family, collecting monetary donations for Gleaners. Go beyond the 'bring at least 10 cans or 10 dollars' idea and help make this an AMAZING event for Gleaners and hungry families in Michigan! WANT TO VOLUNTEER TO HELP? 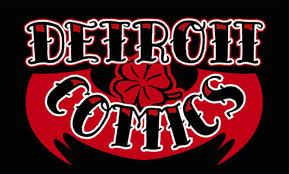 Contact us directly at zombiewalkdetroit@gmail.com. donate to Gleaners by clicking here~ thank you!